Free shipping. Buy direct from HP. 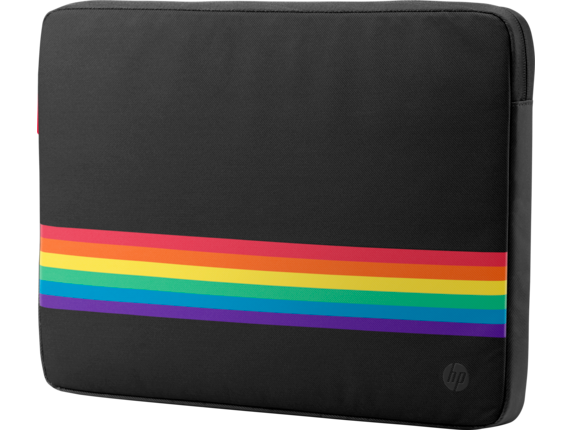 See customer reviews and comparisons for the HP 15.6 Spectrum Sleeve. Upgrades and savings on select products. Slip in and go – your notebook will be snugly enveloped within a plush interior and unique exterior, accented by a subtle HP logo. A layer of padded protection is blended within the full-length walls of the sleeve offsetting everyday bumps and scuffs. The durable twill exterior provides reliable weather resistance. The smooth micro-suede interior provides a soft blanket of protection, resisting scratches and preserving your laptop or tablet.